In a night of debuts for the USMNT, it was Chicago Fire forward Djordje Mihailovic making the most of his. 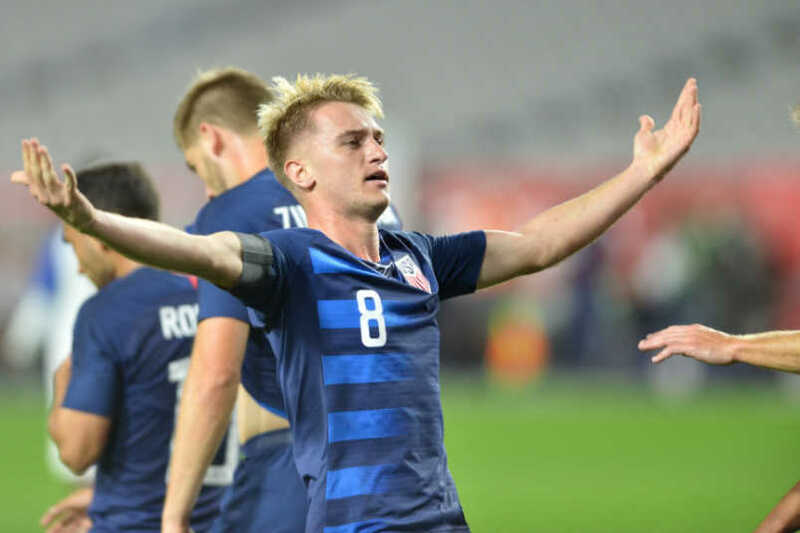 Mihailovic scored in his first game for the USMNT, making the difference in the 1-0 win over Panama at State Farm Stadium in Glendale, Arizona. In front of a sparse crowd, USMNT coach Gregg Berhalter marked his own debut by giving five players theirs. That included Mihailovic who put the USMNT up in the 40th minute. Nick Lima also made the most of his, setting up Walker Zimmerman's header to double the lead in the 80th minute. Late substitute Christian Ramirez made it 3-0 in the 89th, also scoring on his USMNT debut. Berhalter started his substitutions midway through the second-half. That included subbing on goalkeeper Sean Johnson for starter Zack Steffen in the 74th minute. Berhalter used all six substitutes, given more players their USMNT debuts. The USMNT now looks forward to playing Costa Rica on Saturday at Avaya Stadium in San Jose (3:30pm ET - Fox). "I think there were some good things," Berhalter told ESPN following the game. "We talked about, after two-and-a-half weeks in training, what we were going to be able to implement. But I think we have enough now to work with. When I see some of the ideas and some of the concepts we're executing, it's going to give us a nice platform to continue to grow." Venue:State Farm Stadium; Glendale, Ariz.